Offices in Beijing, Shenzhen, Amsterdam, Bucharest, Ottawa and Chicago. Offices in Beijing, PRD, Amsterdam, Bucharest, Ottawa and Chicago. 1421 Consulting Group (1421) is specialized in supporting Western companies setting up and growing their business in China. Via our one-stop service model, we are able to balance the initial investment needed to discover opportunities and open the Chinese market with expected returns of investment. We use our strong knowledge and network for assisting companies in China. The combination of our Western colleagues with vast experience in China, and our Chinese colleagues with strong understanding of the Western needs and desires, makes us able to assist you in the best possible way. In the year 1421, China discovered the world with a large fleet and conquered that world on paper. They requested all kings, warlords and tribes to submit to the emperor by signing a piece of paper. They did not wage a war, request taxes or enslave people. This striking difference is at the heart of explaining the difference between the West and China. 1421 Consulting Group (1421) is aimed at bridging this specific gap, when assisting companies in China. Why? Because China excites us, guiding Western companies drives us and the challenge of it all inspires us! Examples of 1421 her work. Get access to our free WFOE registration White Paper. 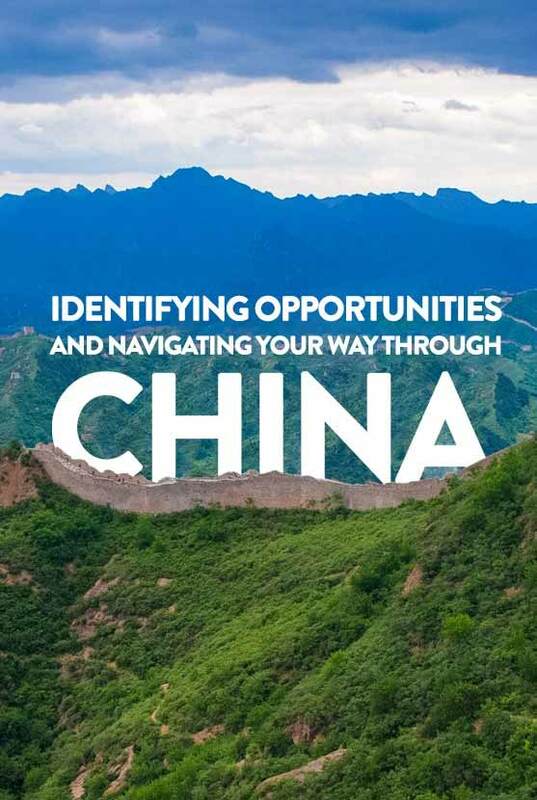 Identifying opportunities and navigating your way through China with these six services. A team of skilled professionals from different fields of expertise at your disposal. Besides helping our clients, we love to share our knowledge on doing business in China. Here you can watch our company introduction video. This will give you more information on who we are and what we do. Please feel free to contact us with any questions, alternatively you can read our Insight articles for information on different topics. 1421 Consulting group helped us with the setup of our structure in China. After the set up was complete, they supported us with the accounting and admin service. Therefore we as a company got a clear understanding of how the rules and regulations work for Western owned companies. We are pleased to have learned that 1421 is able to react fast to developments concerning our company. Othmar Decorations recently opened up our own WFOE in China for our purchases from China. This raised many questions regarding different taxation structures. 1421 Consulting provided us with a solid analysis of all possible scenarios and helped us to find the most beneficial solution for all our entities involved. 1421 Consulting Group helped us to successfully register our company in Shenzhen. This was done professionally and we decided to continue with 1421. They currently assist us with our accounting, hosting our employees and managing some of our activities. 1421 Consulting Group has assisted us in a professional but personal manner with our business in China. We were very pleased with their services. For us, as We4Ce, it is very important to know as much as possible about our market segment and its clients in China. To achieve this goal, we hired 1421 Consulting Group to map the market and find potential clients. We are really happy with the results of the work 1421 delivered and will absolutely continue our relationship to a deeper level, including research and guidance of We4Ce to customers. ARNOLD C. TIMMER, DIRECTOR – WE4CE B.V.
FlowerForce is operational in the Chinese market since 2013. for a Dutch company it is very difficult to know all the rules, and the do’s and don’ts for this market. 1421 consulting group offers a wide range of possibilities to help foreign companies to achieve their goals. due to their pay-roll system we are able to have our own Chinese employees in China. 1421 Consulting group, Peter Pronk and his team, we experienced as friendly and helpful to find our way in this special land China. We, Alberts & Van Huut International Architects from Amsterdam, are very grateful for the mediation of 1421 to our clients with positive results. With their 'know-how' of the Chinese culture they learned us to make good contracts with our clients. It was a fulfilling cooperation, as well for the future. As this was our first endeavour outside of Canada and without ever even having been to China before, we were naturally apprehensive and didn’t have a budget that would allow for us to learn from our mistakes. 1421 is certainly qualified and experienced with the ins and outs of the Chinese business culture. Although we are a relatively small company, we felt like their only client; they were genuinely interested in helping us and building a long term relationship. While we really have just begun our dealings, we feel confident to have 1421 on our team as we move forward. Outside of their regular service, 1421 always tries to help us out with additional small and big questions we have. They are approachable, informal and always quick to reply. 1421 Consulting Group is assisting Holland Container Innovations (HCI) with pay rolling services in Shenzhen, China. We found 1421 when HCI was looking to hire Chinese staff. 1421 looked at our needs and presented us a with a comparison between setting up our own entity or the use of their pay rolling service. They subsequently advised us to choose the pay rolling service at this time, which for us is the cheapest and easiest way to meet our needs, saving HCI the time and cost involved with registering a WOFE. Reliable, knowledge, insight, speed of action, interaction, a promise is a promise, relevant feedback and work with an experienced Group Office employees are the key words that belong to 1421 Consulting Group. We had a difficult task, for 1421 Consulting Group, but the implementation is to full satisfaction with clear analyses, good workable and clear opinions. For us, a relative new comer in the Chinese market, it is very efficient to cooperate with 1421 Consulting Group, they know the rules, the do's and don’ts and they know their way around. This saves us a lot of time so we can keep our focus on the business. Peter and his team set up the Ltd. For us in Wuxi. They have a kind of a turn key approach. The planning is to be operational within 4 month. 1421 Consulting Group and EWT have a long term relationship and we trust their knowledge and professional attitude for our business in China. On the field of Consultancy and Quality Management they are our partner! We got in contact with 1421 Consulting Group and requested at short notice a Quality Check of the products we purchase in China before shipment. 1421 did this according our specifications and we were satisfied with the result and the cost. MARC HULSEBOS, CFO – H.B. GASKACHELS V.O.F. 1421 Consulting Group is assisting our law firm in registering a representative office and WOFE in Beijing. With their experience in this field they have been able to provide a very clear plan and have been a great help in guiding our preparation for the registration process. We are also glad to be able to use their office facilitating services to house our operations during this period. Kabor b.v. is happy to have found 1421 Consulting Group to support us in China, 1421 is performing regular quality checks at our manufactures to guarantee the products meet the agreed and requested requirements before loading. Besides these checks 1421 assists Kabor b.v. by sourcing new suppliers. PETER VAN DEN BERG, CEO – KABOR B.V.
1421 Consulting Group has been an invaluable partner in the start-up phase of my elder care project, to an extent where Nightingale would not have become a reality without the ongoing help and expertise from 1421. They have provided guidance, drive and expertise throughout the process of starting up a new company in a relatively new area in China. ANNE-MARIE BUCH, OWNER AND CEO – NIGHTINGALE CARE HK LTD.
As a starting entrepreneur, both in general and in China, the people at 1421 Consulting Group have gone above and beyond to help me with all my questions and future situations to come. If all goes well, and with their help I feel more confident that it will, I look forward to a long and lasting future of doing business together. MR. JACCO HANDGRAAF, FOUNDER – BRANTWERCK B.V.
1421 Consulting Group gave us a very well founded analysis of the Chinese market. Furthermore, the company continues helping us to generate business in this important Sales Region and we’re very happy to work with such a competent partner. ALEXANDER GIEBEL, CEO – PJUR GROUP LUXEMBOURG S.A.
What happened in the year 1421? From 1421 to 1423, during the Ming Dynasty of China under Emperor Zhu Di (朱棣) the fleets of Admiral Zheng He (鄭和), commanded by the Chinese captains, discovered Australia, New Zealand, the Americas, Antarctica, the Northeast Passage; and circumnavigated Greenland. Due to this endeavour we can conclude that “1421 is the year that the Chinese discover the world”.